Three scientists at the Foundation for Psychiatric Research fail to secure the D.C. Mini, a device they've invented which allows people to record and watch their dreams. A thief uses the device to enter people's minds, when awake, and distract them with their own dreams and those of others. Chaos ensues. A trio - Chiba, Tokita, and Shima - assisted by a police inspector and a sprite named Paprika, must try to identify the thief as they ward off the thief's attacks on their own psyches. Dreams and reality merge, while characters question the limits of science and the wisdom of Big Brother. When a machine that allows therapists to enter their patients' dreams is stolen, all hell breaks loose. 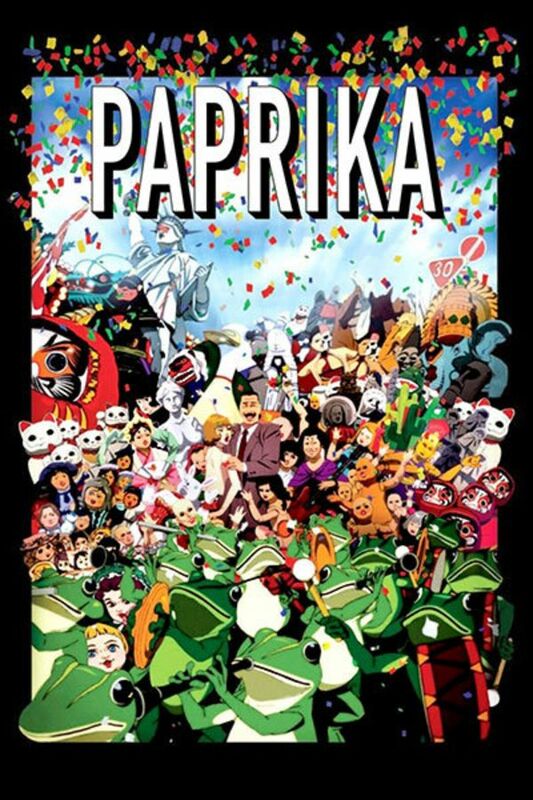 Only Paprika, a young female therapist, can stop it. Our heroine dives deep into the unconscious minds of others, taking us along for a wild and mind-bending ride. From start to finish, this animated feature brims with an arresting sense of wonder and mystery.